Raised on a farming property at Wirrulla, Eyre Peninsula, Glenn left in 1970, and commenced work in a chartered accounting firm. He gained a Bachelor of Arts in Accounting and is a Chartered Accountant, providing business advice in a variety of business sectors. Glenn became managing partner of the Port Lincoln, Adelaide and Sydney offices of his firm and spent over 35 years in this career before retiring in Port Lincoln in 2008. Active involvement in the community: past member of the Regional Development Australia Whyalla and EP Board; past President and current Member of Rotary, past Director of the Port Lincoln Bendigo Community Bank and past Member of the board of management at Ravendale Community Sports Centre. A life member of Apex Clubs Australia, Tasman Football Club and a Paul Harris Fellow of Rotary. Currently on the committees of the Lincoln Auto Club and Port Lincoln Auto Sprint in the capacity of treasurer. Since 2008 has been a member of the Board of the Sarin Group of Companies. He is also a Justice of the Peace and treasurer of Southern EP Justices Group. 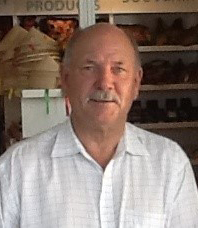 Past Director of the Eyre Peninsula Community Foundation from November 2008 to November 2013 including roles as Chair and Treasurer. Marie with her husband Kevin have farmed their properties in the Lock, Kopi & Warramboo districts for almost 40 years before retiring to Tumby Bay in 2007. She was a Director of the Eyre Peninsula Community Foundation from October 2009 to November 2017. Marie’s dedication to her community and the agriculture industry is evident in the long list of roles she has had on boards and panels over the years. 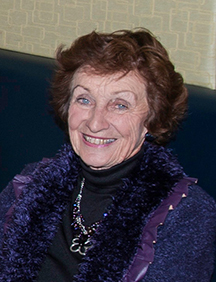 A number of the panels and boards she has served on are – the SA Arts Council for the EP Region; the Lock Health and Welfare Community Board; the South Australian Country Women’s Association going on to be the State President and then later the National President serving from 2000-2003; she was invited to be a member of the Rural Women’s advisory Council to the Deputy Prime Minster. She was the SA representative on the National Rural Health Alliance Friends Advisory Committee and Chair of the National Conference held in SA in 2013; Member of the Lower Eyre Health Advisory Council and an active member of the Tumby Bay Hospital and Uringa Auxiliary. In 2008 Marie became a director on the Australian Year of the Farmer Ltd.
Marie’s achievements are not limited to – being awarded Citizen of the Year for the Elliston District Council in 1998; awarded the Centenary Medal of Federation of Australia in 2003, for outstanding service to women in Rural Australia; and in 2004 Marie was appointed a Member in the General Division of the Order of Australia AM.